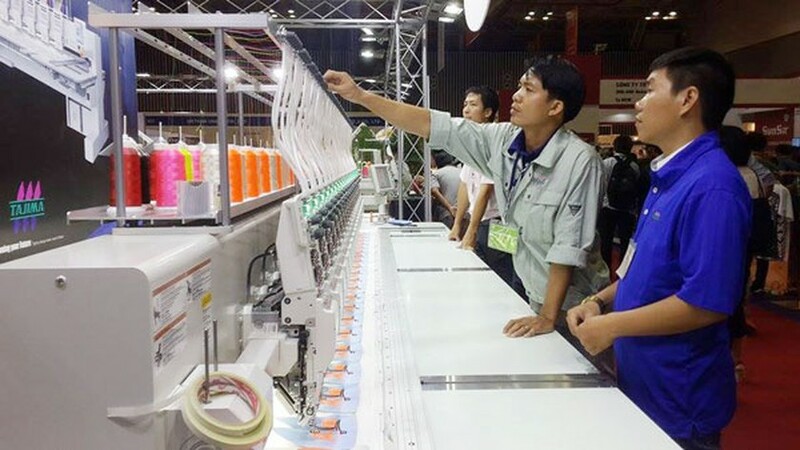 Vietnam International Textile & Garment Industry Exhibition (VTG) was held at Saigon Exhibition & Convention Center (SECC) in District 7 yesterday. The four-day event has attracted international exhibitors with 550 booths of 400 companies from over 17 countries & territories including Australia, Thailand, Singapore, Japan, Hong Kong (China), German, Italy, New Zealand, Indonesia, Hungary, South Korea, India, Bangladesh, China and Vietnam. Displayed products include sewing machine, knitting machine, printing machines on textile, dye, materials for garment and textile. 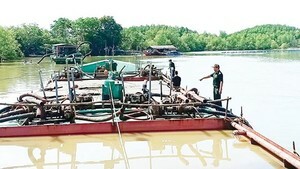 As per the organizer, the number of participant enterprises increased by 10 percent compared to last year. The Vietnam Textile and Apparel Association said that though export of textile products has been facing difficulties and the sector might not reach its target of US$28.5 – 29 billion but turnover still reached over US$23.3 billion in ten months, up 4.5 percent compared to last year. The exhibition was held by the National Trade Fair and Advertising Joint Stock Company (VINEXAD) under the Ministry of Industry and Trade, Chan Chao International Company, Yorkers Trade & Marketing service Company, Paper Communication Exhibition Service, 28 Corporation One Member Limited Liability company (AGTEK) and the Vietnam Cotton & Spinning Association (Vcosa).